These days mobile phone markets are flooded with smart phones, and they are not only about style statements anymore but also about practicality and more so. Speaking of practicality, we thought of compiling a list of some of the present day Mobile phones Operating Systems that are actually responsible for making these so called smart phones, smart. All these OSes have their own pros and cons and we have tried to discuss all these in brief over here, so that the next time you head to the market to get yourself a new smart phone you can make a smarter choice thats fulfills your requirement. Symbian OSes have been here for long and in the recent past the company was acquired by Nokia, which since then has shown full commitment towards this amazing platform. Almost exclusively targeted at ARM processor based systems, Symbian OSes and its associated user interfaces S60, UIQ, Series 90 and MOAP(S) powers almost the entire line-up of Nokia's smart phones and also few models of some other brands like Sony Ericsson, Samsung, Sharp etc. The current version being released was 9.5. As far as looks and feel is concerned its either you like it or you hate it. The OS is designed to be fast, less resource hogging, power efficient and more real time. However all these things are greatly influenced by the phone's hardware and its capabilities, so you need to check out the phone to have a more stringent idea. Security is a minor downside of the OS as there exists some viruses for the system and so you have to use an anti-virus software to keep your phone safe. Coming to application support, a plethora of softwares exist for the Symbian platform and Java is also natively supported, so there is what you call 'abundance' in this aspect. Its so remarkable that you will get almost any imaginable applications that you might ever need like Flash support, acrobat reader, mobile office, even a apache web-server etc. Nokia users can head straight to Nokia's Ovi store to get their hands on some cool symbian apps. So as far as application support is concerned its thumbs up all the way. Read more about the Symbian OS on wikipedia . 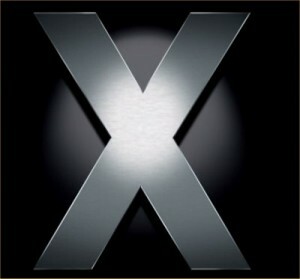 Also known as the iPhone OS X, this is the operating system powers one of the most successful phones of this world. This OS is exclusive to iPhones and iPod Touches. So listing it here along with other OSes doesn't serve the purpose of the post, as all it boils down to is something like iPhone vs non-iPhones. Anyways lets discuss about this brilliant OS. The latest version being offered 3.1. The look and feel offered by the OS (and the phone) is simply unparalled. The interface is silky smooth and thanks to the iPhones hardware, the phone manages to get just everything right and does not leave much room for complaints in this segment. There aren't any severe security issues associated with the OS, although it did had some hiccups in the past. And finally as far as applications are concerned, iPhone's App Store has become a modern day cult. Although its not as raw as Symbian, its quite simply second to none. Wish this OS was available on other phones too, but i guess this won't happen as its a typical APPLE product. Read more about the iPhone OS on wikipedia. Google Android was one of the most promising OS of recent times and arguably the second most awaited one after the iPhone stuff. And slowly but steadily the smart phone manufactures like HTC, Motorola are gladly bracing their new phones up with this child of Google's. Its completely free and open source and runs Linux kernel in its core. The latest release on offer is 1.5. The look and feel of the OS interface is decent enough, though it might not look appealing to many. You got plenty of stuffs to play around with starting from the awesome browser and ending with a command shell. The OS in short is simply brilliant although as everywhere overall performance will eventually depend upon the phone's hardware. We are yet to hear about a sluggish android phone as most of the phones which are shipping with it have got pretty impressive hardware specifications. Quite unexpectedly (thats because its a Google product, but wait Google is not getting everything right these days, is it ? ), there were some severe security issues associated with prior releases of Android. But Google confirmed that their latest release is free from troubles. The Android market (quite on lines of Apple iPhone App store) is growing bigger and bigger day by day, thanks to initiatives taken by Google, but still as of now its not even close to the legendary iPhones App store. It should not be a deciding factor though because Android is still the new kid on the block and its just a matter of time before the Android market gets flooded. Read more about Android on wikipedia.